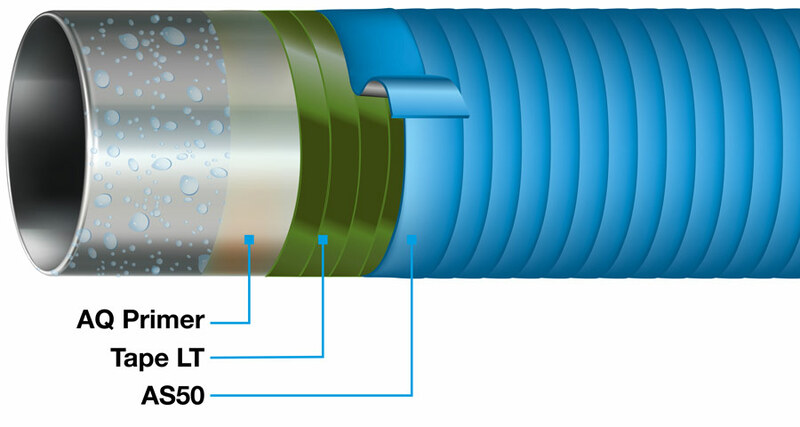 VivaxCoat® as corrosion prevention system is ideal for application on pipelines coated with a wet condensate film, where conventional coating systems cannot be used. 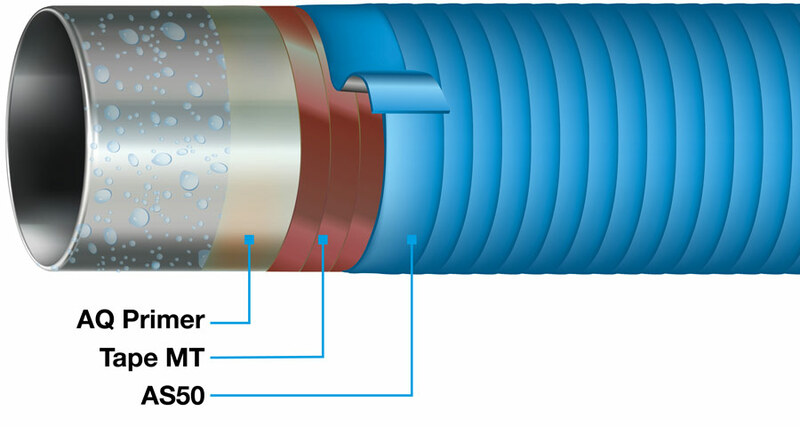 Such wet surfaces can be found, for example, on pipelines that are under load or in areas where air humidity is high. Coating system for permanent corrosion protection on wet steel pipes and fittings at medium operating temperatures, e.g. those coated with a condensate film.